We are excited to share this special piece from Nicole Simoneaux, fellow TrendSpotter and Director of Investments & Advisory Services at REDF. We hope you enjoy her insights on how social enterprises put people before profit as much as we did. We need a new definition of sustainability in the world of social enterprise focused on employment for people facing barriers to work. Those of us working in the field shouldn’t perpetuate the belief that social enterprise businesses need to be profitable from earned revenue alone in order to be considered sustainable. Our social enterprises are successful based on the success of the people they serve, and that sometimes means incurring higher costs because the social mission costs can’t always be covered solely by business revenues. Profitability is hard enough to maintain in the for-profit world. Just ask anyone who has ever run a small business. According to the Small Business Administration about half of all small businesses fail within their first five years. Over the past two decades we’ve learned that the ‘social’ costs of these social enterprises can be significant, and the reality of these expense dynamics is that in many cases it’s impossible to break even off of the business revenue alone. Social enterprise, by their very nature hire less skilled workers. There’s more to hiring workers who need a second chance than simply making a job available. The workers hired are less skilled than in a typical business, which is the whole point. Social enterprises hire less skilled workers to give them the skills they need to go off and get a permanent job. Workers need to learn additional things to raise their level of employability beyond the social enterprise transitional job, including hard and soft skills development. Then there are job-finding classes such as how to do a resume, a cover letter, and handle questions about your past in a job interview. Supervisor ratios are higher in social enterprise settings. Where a typical car wash, for example, might have one supervisor for 16 workers, the ratio found in a comparable social enterprise might be one supervisor for every eight employees. That kind of overhead becomes expensive quickly. Turnover rates vary widely between typical businesses and social enterprises. Most businesses want a reliable workforce of employees who stay on the job a long time. In social enterprise, just the opposite is true. Social enterprises are designed to experience high turnover and success is defined when people leave, which means they are trained, and can move into permanent jobs. 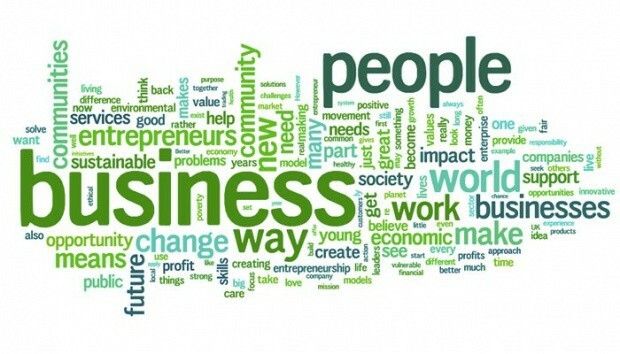 Social enterprises often help employees remove the barriers standing in the way of permanent employment. It could be a criminal record that must be expunged. It could be access to stable housing. Or $1,200 in traffic fines that have to be paid before a driver’s license can be reinstated. Social enterprises go out of their way to hire workers most difficult to employ, including those with mental health and past substance abuse issues. These are issues not faced by typical businesses and means employees need flexibility to get counseling services while on the job. How will we define financial performance? And what does it mean to be sustainable? You can read more on this subject in the coming weeks on REDF’s website. Share your experiences operationalizing your social enterprise with us and stay tuned next week for our blog on design thinking.